Dinosaurs 3D Screensaver 1.2 - Download Win Apps. Travel back in time to the exciting world of the dinosaur!. 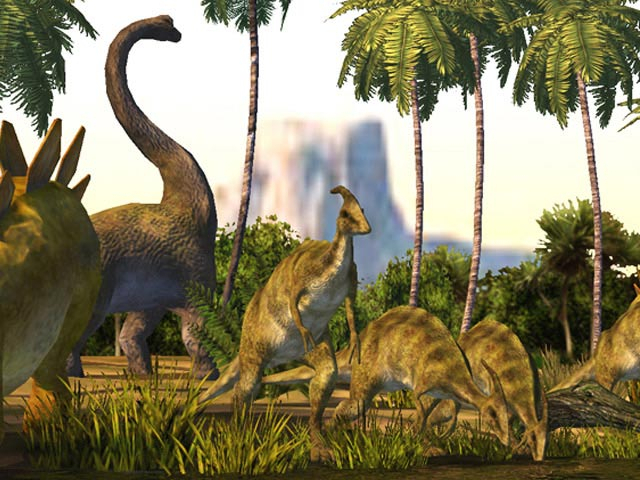 Unlock the mystery of dinosaurs and discover the amazing variety of prehistoric life. This spectacular 3D screensaver gives you a chance to travel 200 million years back in time to the mind-boggling world of these dangerous, but elegant creatures. Old and young alike will be awed to see Stegosaurus, Brachiosaurus, or Pteranodon in their natural habitat and hear the truly realistic sounds of the wild. See if you can tell who is who. With it you can easily make your own screensaver from your pictures and videos files. You can add background music and select from over 100 stunning picture transition effects. it is extremely easy to use.